earned her doctorate in Heidelberg in 1952 with the archaeological-religious historical dissertation ?Opfernde Götter (Sacrificing gods)?. Habilitation in Mainz, university lecturer in Heidelberg until 1963, since 1964 Chair of Classical Archaeology in Würzburg. After she was conferred emeritus status in 1994 she was a professor at several foreign universities (Aberdeen, Vienna, Burban / South Africa, Florida State University / Tallahassee, The University of Texas At Austin, USA). Promotion 1952 in Heidelberg mit der archäologisch-religionshistorischen Dissertation «Opfernde Götter». Habilitation in Mainz, Dozentin in Heidelberg bis 1963, ab 1964 Lehrstuhl für Klassische Archäologie in Würzburg. Nach der Emeritierung 1994 Professorin an verschiedenen ausländischen Universitäten. (Aberdeen, Wien, Burban / South Africa, Florida State University / Tallahassee, University of Texas At Austin, USA). The territory in which the new Christian religion spread two thousand years ago can be defined as the Imperium Romanum. This process met with success because after three centuries the late Roman emperor Constantine the Great made Christianity the official cult of the state. Historical research has always emphasized the tight interconnection between this religion and the Roman world empire. The book at hand ties in with this fact but goes further and reveals new connections which have never been seen that way. The author draws parallels between the founder of religion Jesus and Julius Caesar, the Roman, whose name was given to all succeeding emperors.  Although Caesar who was assassinated in 44 B.C. was one hundred years older than Jesus, Carotta detects amazing accordances in the reports which circulated about the one and the other in antiquity. The metamorphosis of names in vernacular language  e.g. Gallia could become Galilee  plays an important role in it. Strict etymologists may shake their heads here, but their objections are astray: the circles in which Christianity spread, of course had not studied the subject of linguistics which emerged in the 19th century. The circumstance that the author himself grew up in a milieu with several languages helped him in his analyses. Contrary to Jesus, Caesar was an army commander but the early propagation of Christian religion occurred to a considerable extent amongst Roman soldiers. Think of the many holy legionaries in the orthodox as well as the catholic church: Theodoros, Mauritius, Valentine and so on. A different question is whether the similarities demonstrated here between Caesar and Jesus can be used to deny the historicity of the latter  something Carotta actually does not do, because he thinks Jesus did exist, just elsewhere and dressed in different clothes than one usually imagines. The problem touches the ‘cancellation’ of allegedly unhistorical saints like e. g. the Knight George by the catholic church. As if the veneration of a Saint which was practiced over a length of time were not part of history! Moreover, to remain with the Roman church: Although the donation of Constantine turned out to be a forgery, the Papal State based on it has been historical reality through many centuries. Religion is something deeply historical as well as human. Fundamentalism can only cause damage there. May the book of Francesco Carotta contribute that we remain open to questions concerning early Christianity. NOTA BENE: I owe the deepest gratitude to Erika Simon, not only because she had the kindness and courage to write the afterword. I have to thank even more for the fact that she wrote those lines about the Torlonia head that provoked its perception as Caesar’s pietà and thus provided the initial impetus for this work. For she set up the hypothesis that this kind face, furrowed by suffering and yet so strong-minded, which stands completely isolated in the iconography of Caesar, belonged to the statue that Marcus Antonius erected after Caesar’s assassination at the rostra. According to a letter from Cicero (Ep. ad fam. 12. 3) it bore the inscription parenti optime merito. It was supposed to arouse feelings of pity and revenge at the same time (Arch. Anz. 195d2, p.138 sqq. ; Gymnasiusm, 64. Jg., 1957, H. 4, p. 295-9). If she had not written those lines this work would probably never have come into existence. (The head Torlonia can be seen on the background of this page as well as on the Homepage, without and with the savior the fatherland’s wreath of oak, which adorned Caesar’s statue on the rostra, resp. without and with the image of the sidus Iulium, the comet that had appeared during the festivities in honor of the murdered Caesar, which Octavian had fixed to the statue of Divus Iulius. Some opponents of our exposure like to misread Erika Simon’s afterword as if she were distancing herself from it. They believe that the sentenceA different question is whether the similarities demonstrated here between Caesar and Jesus can be used to deny the historicity of the latteris directed against our thesis. This is a gross misapprehension, because firstly the historicity of Jesus is not at all contested herequite the contrary, it is actually maintained here that Jesus existed historically and was called Caius Iulius Caesarand secondly, Erika Simon indicates in the next sentence but one, considering as example the abolishment of Saint George by today’s Catholic Churchthat was what filled her with indignation as a scientist and believing Catholic at the same time, and not our work which she appreciated just for that reasonwhich historicity she means: As if the veneration of a Saint which was practiced over a length of time were not part of history!. Her misgiving was that the Church as she did with Saint George will sometime also abolish Jesus Christ only because the so-called scientific theology with its feeble and failed methods questions his existence (as we know only because it insistently searches for Jesus in the wrong place). Finally, her last sentenceMay the book of Francesco Carotta contribute that we remain open to questions concerning early Christianitydoes not mean, as some want to understand it, that the truth can be found anywhere except in the book in question, but that she, too, sees in it a starting point for a finally differently laid out research. This becomes all the more clear if one does not forget her key sentence: the circles in which Christianity spread, of course had not studied the subject of linguistics which emerged in the 19th century. This is precisely what so far has been lost sight ofand is. Das Gebiet, auf dem sich vor zwei Jahrtausenden die neue christliche Religion verbreitete, läßt sich als Imperium Romanum bestimmen. Der Vorgang war von Erfolg begleitet, denn nach drei Jahrhunderten machte der spätrömische Kaiser Konstantin der Große das Christentum zum offiziellen Staatskult. Die enge Verflechtung dieser Religion mit dem römischen Weltreich wurde von seiten der historischen Forschung schon immer unterstrichen. Das vorliegende Buch knüpft an diese Tatsache an, geht aber weiter und deckt neue, bisher nie so gesehene Zusammenhänge auf. Der Verfasser zieht Parallelen zwischen dem Religionsgründer Jesus und Iulius Caesar, dem Römer, der allen folgenden Kaisern den Namen gab. Obwohl der 44 v. Chr. ermordete Caesar ein Jahrhundert älter als Jesus war, stellt Carotta erstaunliche Übereinstimmungen zwischen den Berichten fest, die in der Antike über den einen und den anderen umliefen. Dabei spielt die Verwandlung von Namen im Volksmund  so konnte etwa Gallia zu Galilaea werden  eine wichtige Rolle. Strenge Etymologen mögen hier den Kopf schütteln, aber ihre Einwände gehen ins Leere: Die Schichten, in denen sich das Christentum verbreitete, hatten natürlich nicht das im letzten Jahrhundert entstandene Fach Sprachwissenschaft studiert. Dem Verfasser kam bei seinen Deutungen der Umstand zu Hilfe, daß er selbst in einer Gegend mit mehreren Sprachen aufgewachsen ist. Im Gegensatz zu Jesus war Caesar ein Heerführer, doch unter römischen Soldaten erfolgte zu einem großen Prozentsatz die frühe Verbreitung der christlichen Religion. Man denke an die vielen heiligen Legionäre der orthodoxen wie der katholischen Kirche: Theodoros, Mauritius, Valentinus und so fort. Eine andere Frage ist, ob sich mit den hier aufgewiesenen Ahnlichkeiten zwischen Caesar und Jesus die Historizität des letzteren bestreiten läßt  was Carotta eigentlich nicht tut, denn er meint, Jesus habe existiert, nur eben woanders und in einer anderen Hülle gekleidet als man üblich denkt. Das Problem berührt sich mit der «Abschaffung» angeblich unhistorischer Heiliger wie etwa des Ritters Georg durch die katholische Kirche. Als ob eine durch lange Zeiten hin praktizierte Heiligenverehrung nicht auch zur Geschichte gehörte! Ferner, um bei der römischen Kirche zu bleiben: Obwohl sich die Konstantinische Schenkung als Fälschung herausgestellt hat, ist der auf ihr beruhende Kirchenstaat durch viele Jahrhunderte hin geschichtliche Wirklichkeit gewesen. Religion ist etwas zutiefst Historisches wie auch Menschliches. Fundamentalismus kann da nur schaden. Das Buch von Francesco Carotta möge dazu beitragen, daß wir uns für Fragen, die das frühe Christentum betreffen, offenhalten. NOTA BENE: Erika Simon gegenüber bin ich zu tiefster Dankbarkeit verpflichtet, nicht nur weil sie die Güte und den Mut gehabt hat, das Nachwort zu schreiben. Noch mehr habe ich dafür zu danken, daß sie jene Zeilen über den Kopf Torlonia geschrieben hat, die dessen Wahrnehmung als Caesars Pietà provozierten und damit die Initialzündung zu dieser Arbeit gaben. Sie stellte nämlich die Hypothese auf, dieses gütige, von Leid zerfurchte und doch so willensstarke Antlitz, das in der Caesar-Ikonographie völlig isoliert dasteht, gehöre zu der Statue, die Marcus Antonius nach Caesars Ermordung an den Rostra errichtete. Nach einem Brief Ciceros (Ep. ad fam. 12.3) trug sie die Inschrift parenti optime merito. Sie sollte im Betrachter Mitleids- und Rachegefühle zugleich erwecken (Arch. Anz. 1952, p. 138 sqq. ; Gymnasium, 64. Jg., 1957, H. 4, p. 2959). Hätte sie jene Zeilen nicht geschrieben, so wäre vermutlich diese Arbeit nie entstanden. (Der Kopf Torlonia ist auf dem Hintergrund dieser Seite sowie auf der Homepage zu sehen, ohne und mit dem Eichenkranz des Retters des Vaterlandes, der Caesars Statue auf den Rostra schmückte, bzw. ohne und mit dem auf den Kopf der Statuen des Divus Julius von Octavian angebrachten Abbild des sidus Iulium, des bei den Feierlichkeiten zur Ehre des ermordeten Caesars erschienenen Komets. Erika Simons Nachwort wird von manchem Gegner unserer Aufdeckung gerne falsch gelesen, als ob sie sich distanzieren würde. Sie glauben, der Satz  «Eine andere Frage ist, ob sich mit den hier aufgewiesenen Ähnlichkeiten zwischen Caesar und Jesus die Historizität des letzteren bestreiten läßt»  richte sich gegen unsere These. Dies ist ein grober Irrtum, denn erstens wird hier keinesfalls die Historizität Jesu bestritten  im Gegenteil wird hier eigentlich behauptet, Jesus habe historisch existiert und hieße Caius Iulius Caesar , und zweitens zeigt Erika Simon im übernächsten Satz am Beispiel der Abschaffung des Heiligen Georgs durch die heutige Katholische Kirche  das war, was sie als Wissenschaftlerin und gläubige Katholikin zugleich empörte, und nicht unsere Arbeit, die sie gerade darum begrüßte , welche Historizität sie meint: «Als ob eine durch lange Zeiten hin praktizierte Heiligenverehrung nicht auch zur Geschichte gehörte!». Ihre Befürchtung ging dahin, daß die Kirche irgendwann wie den Heiligen Georg auch Jesus Christus abschafft, nur weil die sogenannte wissenschaftliche Theologie mit ihren kläglichen und gescheiterten Methoden dessen Existenz in Frage stellt (wie wir wissen, nur weil sie Jesus beharrlich am falschen Ort sucht). Schließlich bedeutet ihr Schlußsatz  «Das Buch von Francesco Carotta möge dazu beitragen, daß wir uns für Fragen, die das frühe Christentum betreffen, offenhalten»  nicht, wie manche verstehen möchten, daß die Wahrheit überall stehe, außer im besagten Buch, sondern, daß auch sie darin einen Ausgangspunkt für eine endlich anders gelegte Forschung sieht. Dies wird umso deutlicher, wenn man ihren Schlüsselsatz nicht vergißt: «Die Schichten, in denen sich das Christentum verbreitete, hatten natürlich nicht das im letzten Jahrhundert entstandene Fach Sprachwissenschaft studiert». Das ist eben, was bis jetzt so gerne aus den Augen verloren wurde  und wird.